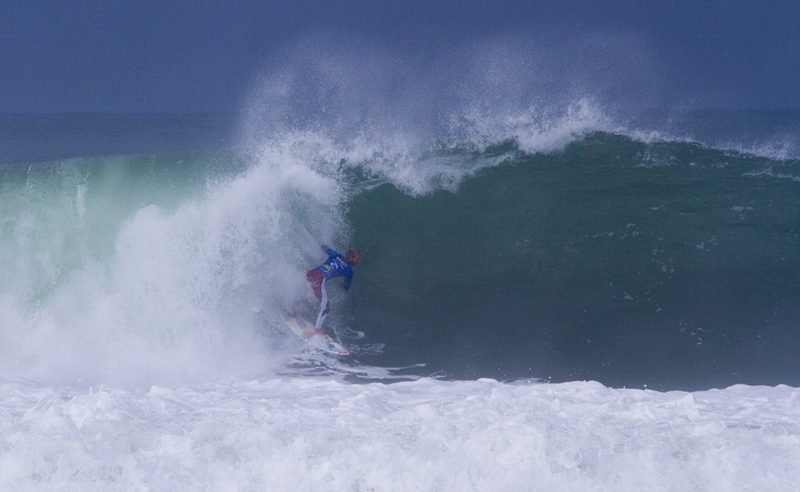 Rip Curl Pro Portugal runs from October 10th – 21st 2012 at the infamous sand-bottom barrels of Supertubos. Adam Melling surfs in Ht 10 vs Jeremy Flores and Michel Bourez. Owen Wright surfs Ht 7 vs Bede Durbidge and Yadin Nicol. Magic Seaweed, official forecaster for the Rip Curl Pro Portugal, are calling for: - NNW swell for the weekend looking likely for head high+ surf. - Large storm system sending pulses of more westerly swell for next week with a very very mixed, but positive, longer range outlook. Good luck fellas. Mello had a good heat but no win and moved into round 2. Owen smashed it in round 1 with a 16.26 total and is into round 3. Mello surfed well today but couldn't get past Otts and was eliminated. A good day for Owen in Portugal today advancing into the quarter finals. He smashed Otts in round 3 and finished the day eliminating Mick with a 10 and 8.00. Owen surfs in QF 3 vs JDub. Despite getting some sick pits Owen fell just short of JDub and had to settle for 5th.